Maison de la Culture N.D.G. 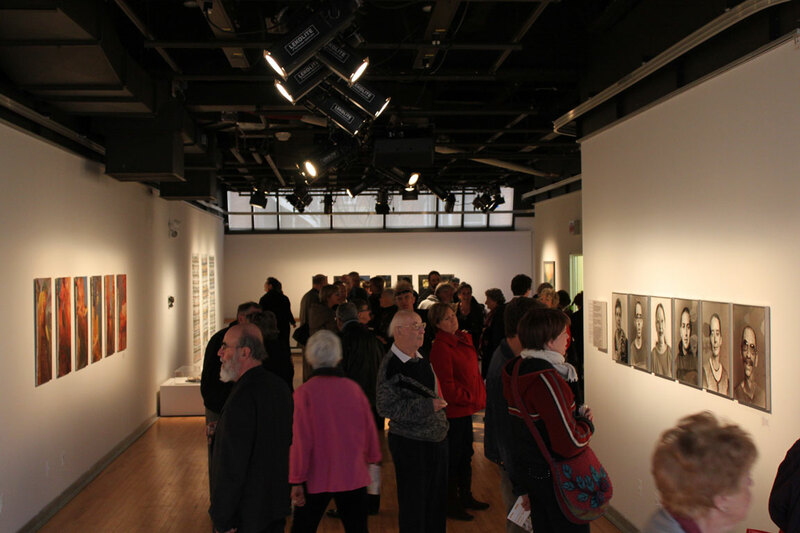 The Opening of the Re:Insitu Exhibition at Maison de la Culture Notre-Dame- de- Grace was a great success! 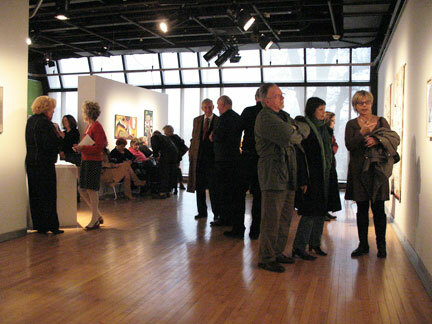 During the Opening ceremonies the main floor gallery was packed, with crowds lining the entrance hallway ! 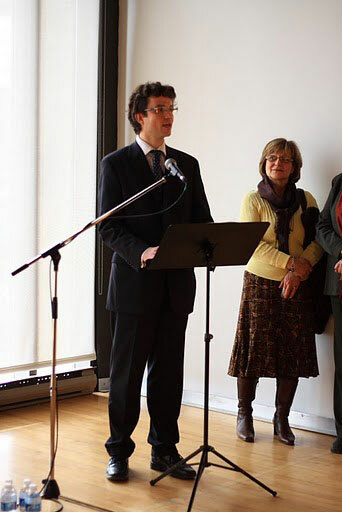 Luk Cote, Director of this reputable public gallery, welcomed the crowd and both he and all of the other Quebec dignitaries; Svetlana Litwin, Cabinet of MICCC, ( representing Quebec Minister of Immigration and Cultural Communities, Madam Yolanda James) , and Gilles Bergeron, from the City of Montreal, in charge of culture for the sector, expressed awe at the quality of the Exhibition and praised our community for the number of Canadian- Hungarian artists in this exhibition who had received Canada’s highest distinctions and recipients of so many international awards. 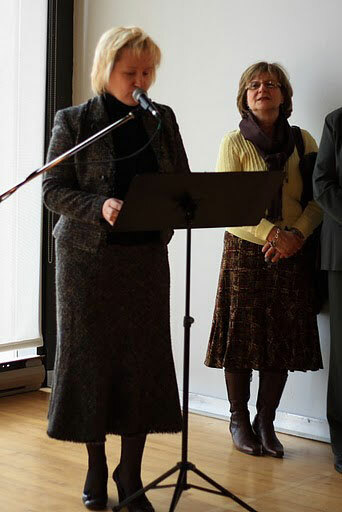 All stated that our exhibition demonstrated the value that Montreal and Quebec place on Multiculturalism. In fact, Mr Bergeron announced that the province was building a 24 million dollar state of the art museum in this sector of the city, and that we were invited to have a major future exhibition at this new center. This offer was instantly accepted by me! 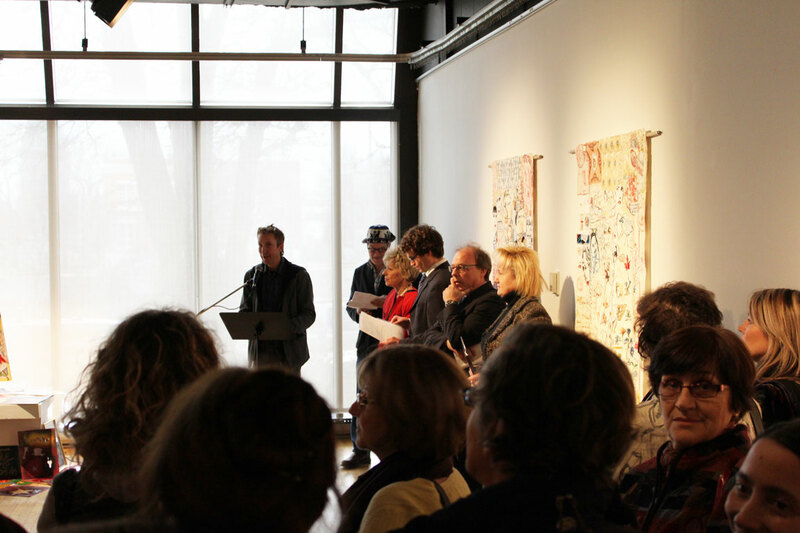 Luk Cote thanked us for organizing a top quality exhibition that they were proud of, that so well identified their mandate in the community and that would serve as an example for the necessity of increased funding to the visual arts sector. 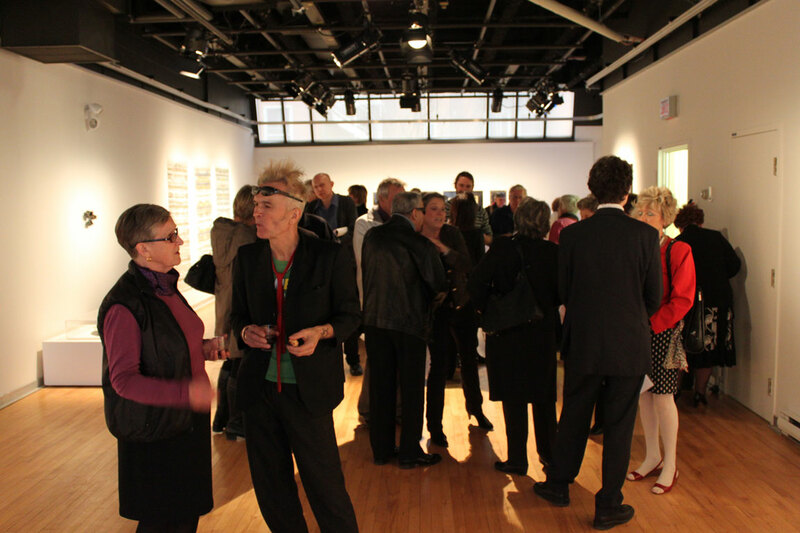 All of the speakers thanked Andrea , Julia an the incredible work of Judith Klugerman, this venue’s Curator. author, as the keynote speaker, (his text is on page 3 and 4). Mr Tamas Kiraly, First Secretary & Deputy Head of Hungarian Mission in Ottawa, Represented HE Pal Vastagh, who was unable to be with us as he was on his way to Hungary. 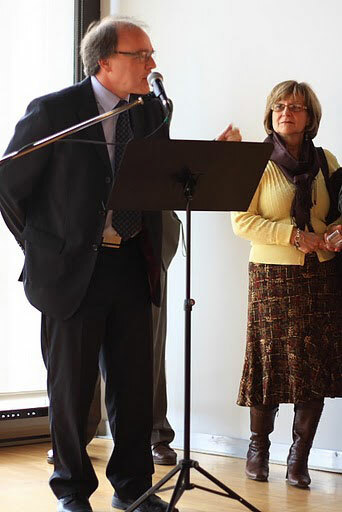 Mr Kiraly spoke of the importance that Hungary set by this exhibition in bridging Canada to Hungary and that Hungary valued and favored such cultural exchanges. In particular, he stated that HE Pal Vastagh was pleased that he could play such a key role in assuring the success of the Hungary exhibitions. 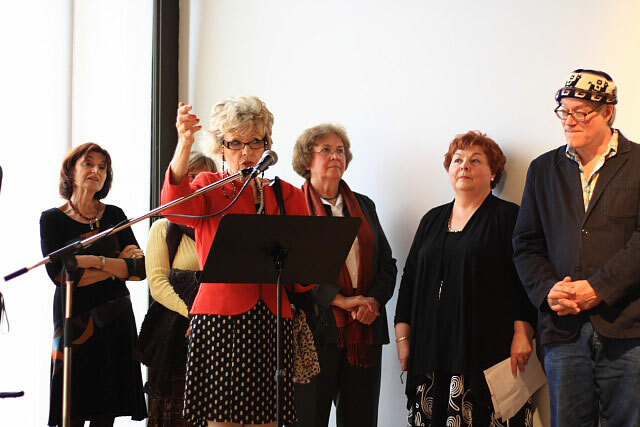 The speakers all congratulated Gabor Szilasi, for receiving Canada’s highest arts award, the Governor General’s award in Visual Arts, and introduced Istvan Kantor also recipient of the GG’s award, and Andrea Blanar, forrecently being awarded the “pro Cultura Hungarica Medal ” and drew the attention of all to the great number of artists in this exhibition who had won the highest distinctions in Canada and abroad. 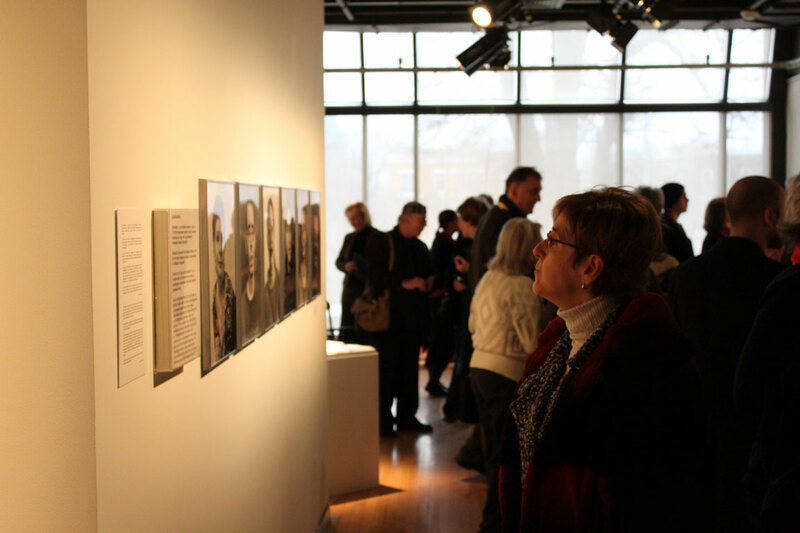 It is clear to us that this exhibition made everyone proud of their Hungarian origins, while underscoring the reality that we were all deeply now entrenched in Canada & proud of being Canadians! 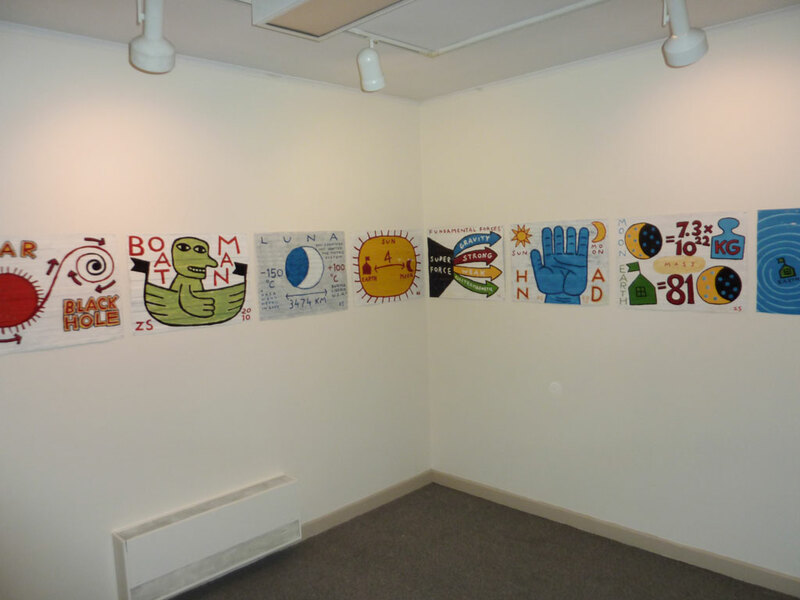 The Exhibition in fact had quasi removed our hyphenated existence! The day ended with an exhilarating experience of all of us viewing, in the center’s projection amphitheater, a selection of Istvan Kantor ‘s powerful videos!! Thanks you Istvan for speaking about your life and work and for presenting these videos, thus providing a grand finale to the Opening ceremonies! In particular again, on behalf of all, thanks to Julia Ciamarra and Judith Klugerman !!! 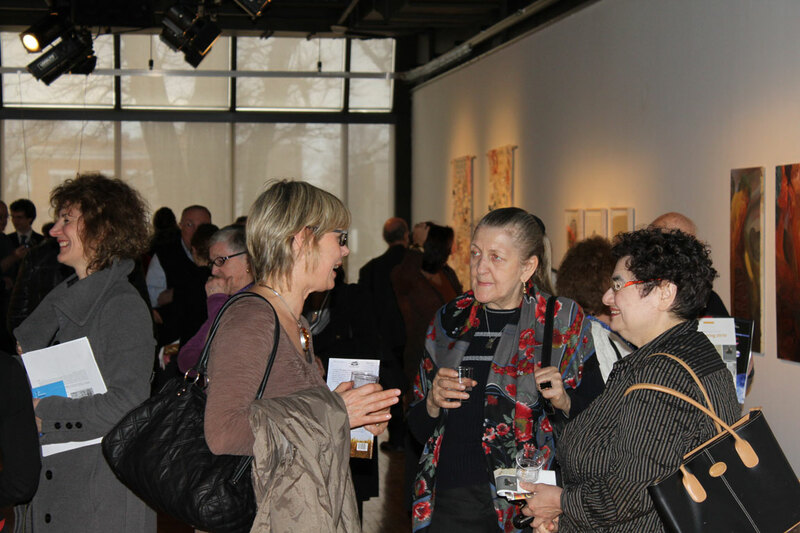 Agi szeben, Agi and Steve Zoni, Susan Dobbek & Marcel Beaulieu & Sofie Fekete, Geza Hermann, Dakshina Clark and Arrien Weeks, Christine Lengvari & Christine Tekker, Barbara Tekker and Alex Brzezinski, Istvan Kantor & Tamas Wormser. As the borders between world cultures become increasingly permeable, and diverse cultures exchange with others, there is an increasing need to maintain some links with one’s cultural roots. And just as there is a need for expressing one’s identity, something that emerges out of a cultural heritage or background there is also a need for cultures to reach out into the greater world to express something of their collective experience to people all over the world. 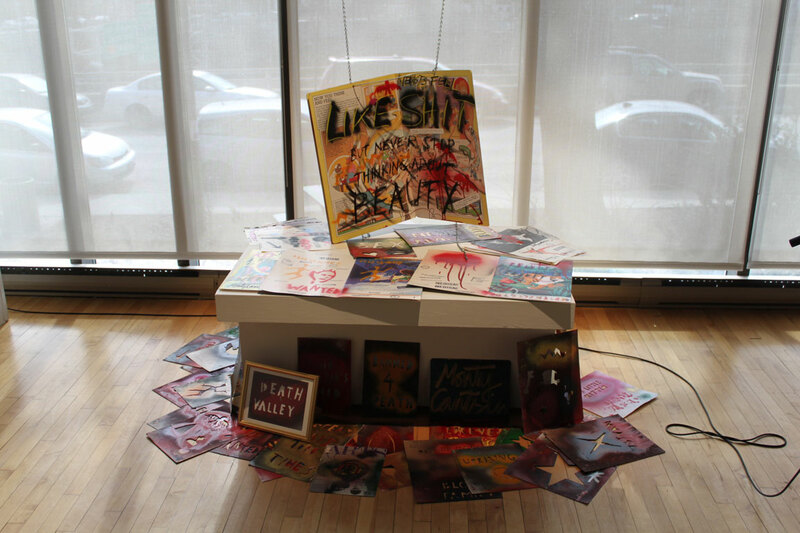 Re:InSitu is an exchange between the Hungarian Canadian Artists Collective whose members extend from across Canada and their country of origin – Hungary. As an exchange Re:InSitu is timely. Not only are Hungarians curious about what their compatriots are producing since leaving their home, but also now there are new references, points of identification in the new found country of Canada. And there is all over the world a general merging and fusing of cultures, and of art, and film, that has developed its own language of art, something of a cross over that identifies the art. And so the art of our times is like a series of consecutive waves, all this in an ocean of cultures that have their own specificities, yet link us all together with a common bond of humanity. And what a rich culture Hungary has, as evidenced by the multimedia, and painterly, photographic, film media in this visual extravaganza that is Re:InSitu, Canada has influenced and broadened the language of these artists who have each in their own way, gone through a difficult and challenging period of adjustment. 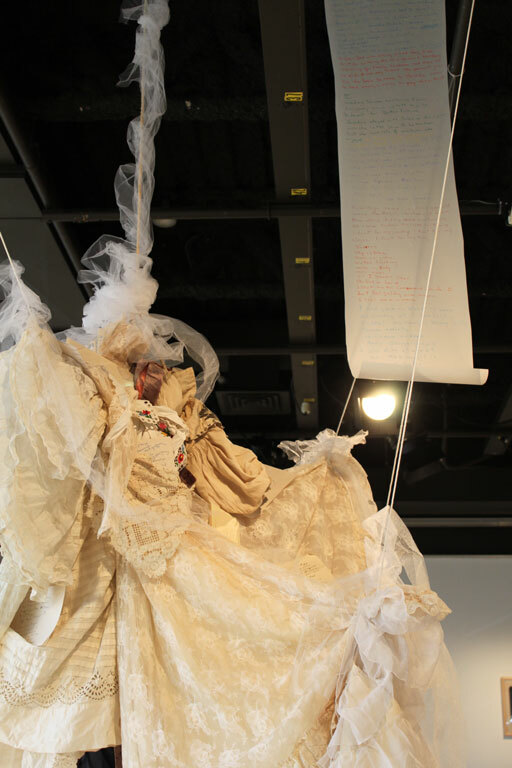 As this show evidences, that questioning of origins, and acceptance of change, has led to an experience of place and identity that is multi-layered, and within that space called Canada. While Canada is no longer a “few acres of snow” as Voltaire once referred to it, it is certainly a part of the “global village” as Marshall McLuhan defined it, and Canada is a vivid country where cultures are allowed to grow and maintain something of their origins. This contrasts the American melting pot model with its consequent diminution of one’s origins. Canada is an open country where tolerance is a key to the many cultures that co-exist in our country, and that includes the Amerindians who were here before contact. 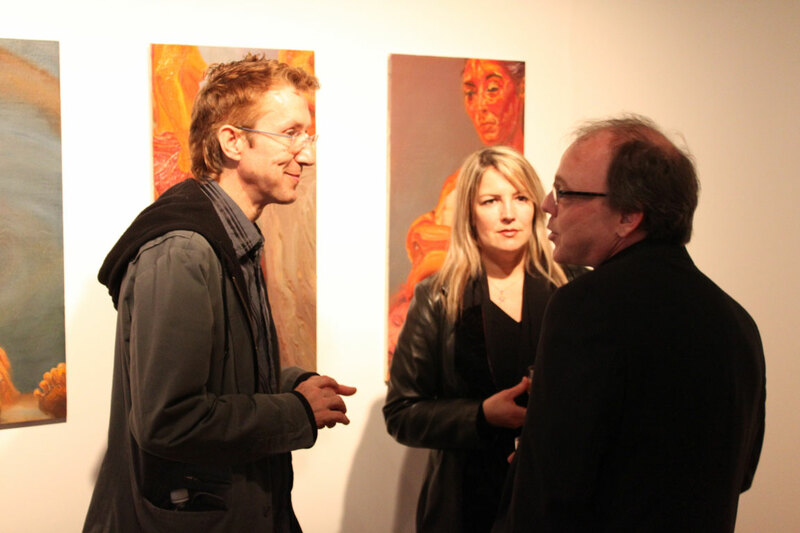 What these Canadian Hungarian artists truly have achieved with this exhibition in the cultural capital of Montreal is a measure of acceptance that is all about how cultures adapt, maintain, exchange, and metamorphose over time, and the cross Re:InSitu evidences is one that crosses the rivers of memory, the oceans of identity and the expanse of place. 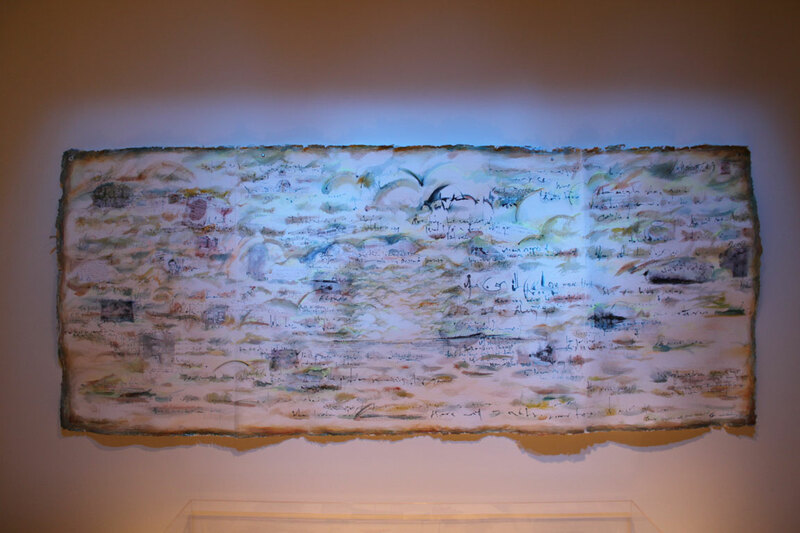 The artworks vary, and while some express a sadness, others reify a great distancing between experience and memory, and still others carry some cadence of Hungary and their origins there For all these artists there is a general questioning of what art is, and what we express truly can be. Let’s celebrate what artists can do when faced with a challenge, and the growth of understanding that all cultures are involved in this new globalized world.